Spring truly is a unique time to visit Reno Tahoe. Where else can you ski and golf, or paddleboard and snowshoe all in one day? The transition from winter to summer offers a variety of unique sights and experiences. Here are some great reasons to visit the area during the spring months. Trees and flowers are beginning to bloom all around! 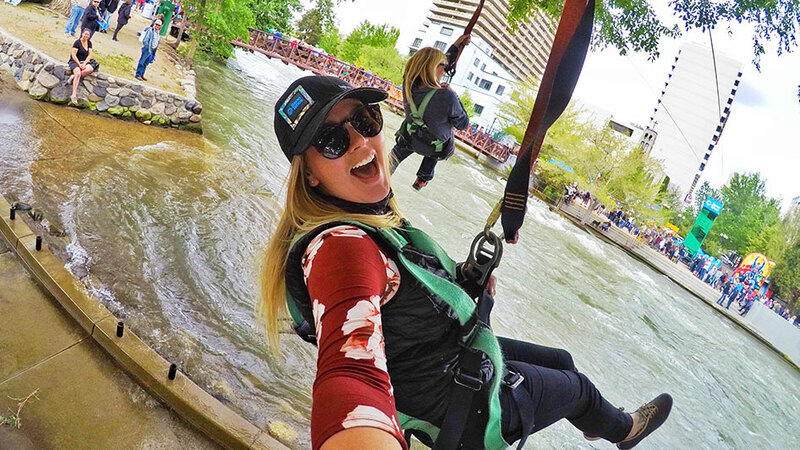 Whether you’re taking a stroll along the Riverwalk District, through the campus of The University of Nevada, Reno or on a hike in the hills of Reno or mountains of Lake Tahoe, you’ll be sure to notice trees and flowers blossoming throughout the region! Put on your walking shoes and take in the natural beauty, colors and sunshine gracing the area. Throughout the spring, Lake Tahoe’s water is typically calm and clear, making it the perfect time to get your first steps into the crisp and refreshing lake. Take advantage of the lake before the summer crowds hit, and enjoy the views of snow-capped mountains while gliding through the fresh water. For information on stand-up paddleboard rentals, visit our stand-up paddleboarding page. Everything on the menu tastes better when paired with some warm sunshine! 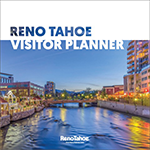 Start your day with an outdoor adventure and then make your way to one of Reno’s many bars and restaurants that offer patio seating. If variety is what your taste buds crave, then head to one of Reno’s food truck events – Feed the Camel on Wednesdays or Food Truck Friday on, you guessed it, Fridays. Just because winter is over, it doesn’t mean you need to put away your skis or snowboard. 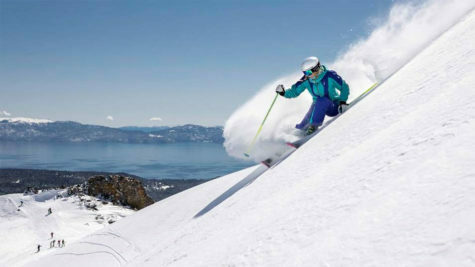 Reno Tahoe is known for ski seasons that extend well into the spring months (Squaw Apline isn’t scheduled to close until late May), and area resorts host a variety of fun events to make those sunny days on the mountain even more memorable. From pond skimming to snow golf tournaments, things can get a little wild once the days get longer! Some say Reno Tahoe’s altitude means your golf ball will fly 10 percent farther. 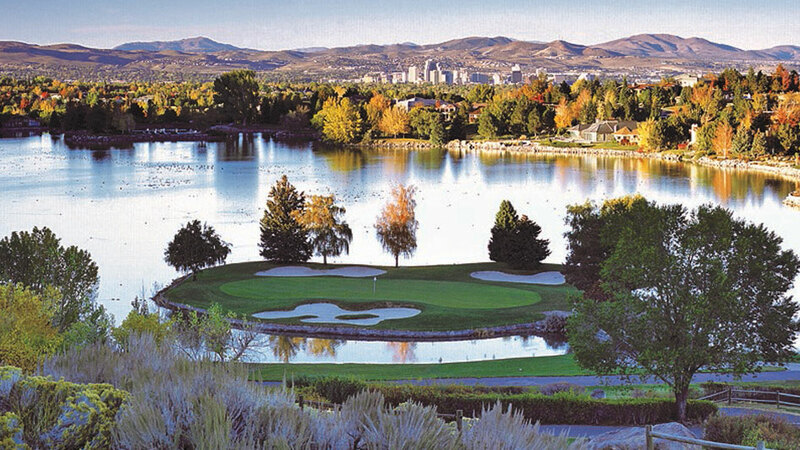 It’s up to you to decide if that’s true at one of the 50 plus golf courses located within 90 minutes of Reno. Dust off your clubs and treat yourself to world-class golf. Spring means two teams – Reno 1868 FC and Reno Aces – kick off their seasons at Greater Nevada Field. 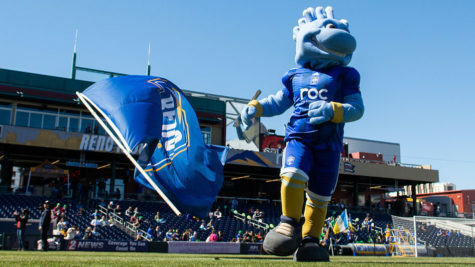 Reno 1868 FC is Reno’s professional team, which plays a total of 15 regular season games between March and October. 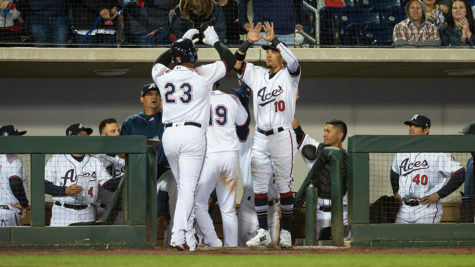 The Reno Aces, Reno’s Minor League baseball team, also play at the stadium located near downtown. Their games are fun for fans of all ages, with unique events and promotions like Star Wars Night and Fireworks Friday.